The Ultimate Nigerian Music Mix: King Ola Presents 'Tension!' Jump-start your weekend with 'Tension! ', a collection of hits from Nigeria's biggest artistes, mixed by DJ King Ola. 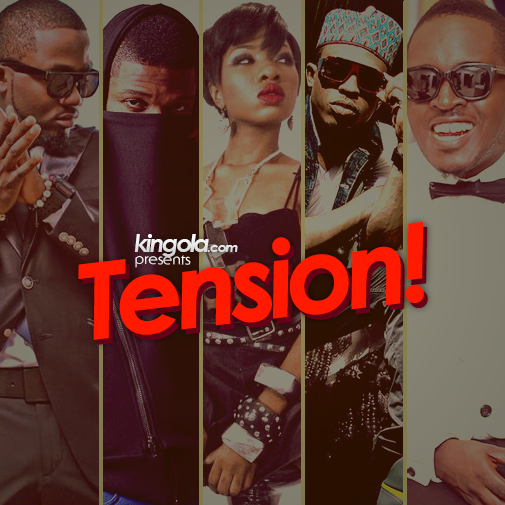 Nigerian DJ King Ola follows up on his fantastic 'LASGIDI' Afrobeats mix with 'Tension! ', a smorgasbord of recent hits from Nigeria's biggest music acts. Stream the mix below or download it (ZIP format) here. 03. Yes/No – Banky W.